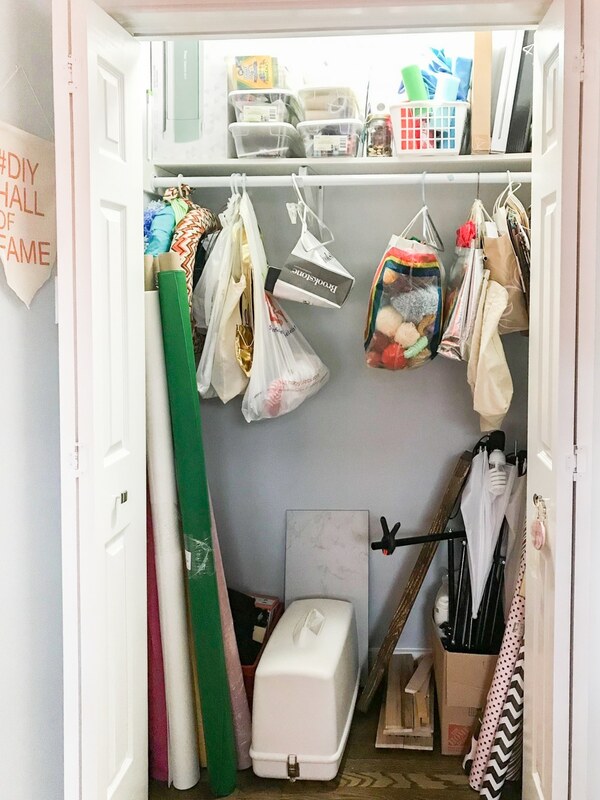 DIY Closet Shelves - Tips For Craft Closet Organization! Paging all craft supply hoarders! Whether you have an entire craft room or a small craft closet, it’s easy to let your craft supplies completely TAKE OVER! 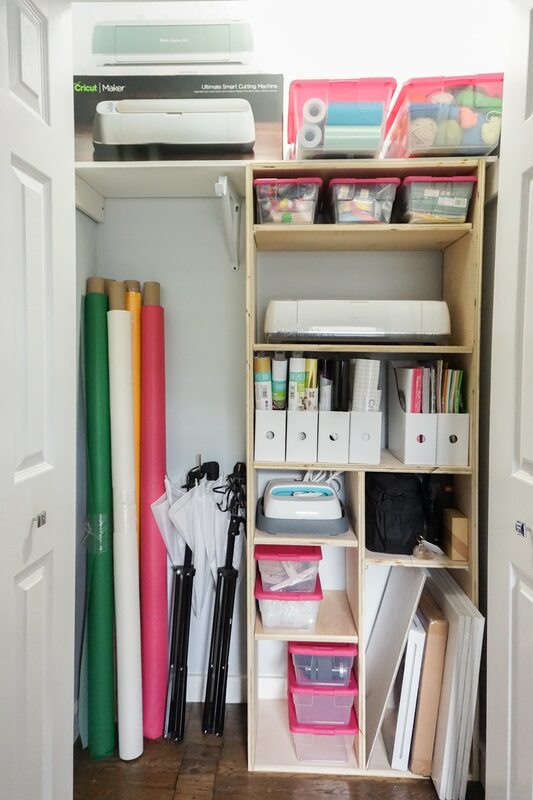 I desperately needed some craft closet organization so I built DIY closet shelves to help utilize ALL the space in the craft closet and really maximize my storage options. One of my goals for the DIY closet shelves were to make use of the vertical space in my craft closet since I only had one shelf across the top and the hanging bar. I was using it as well as I could by hanging stuff in bags from the bar and piling things in the bottom, but I had a LOT of wasted space. Not exactly the best use of space, right? I could have went out and bought a bookshelf from Walmart or IKEA but I wanted something STURDY and in a custom size so I didn’t have to move the upper shelf! I also wanted to keep at least half of the closet space for hanging space. At this time, I don’t really need it but in the future this room will most likely be a nursery/kids room, in which case we’d want at least a little hanging space. Also, if we sell our house I think most people prefer to have some space to hang things. 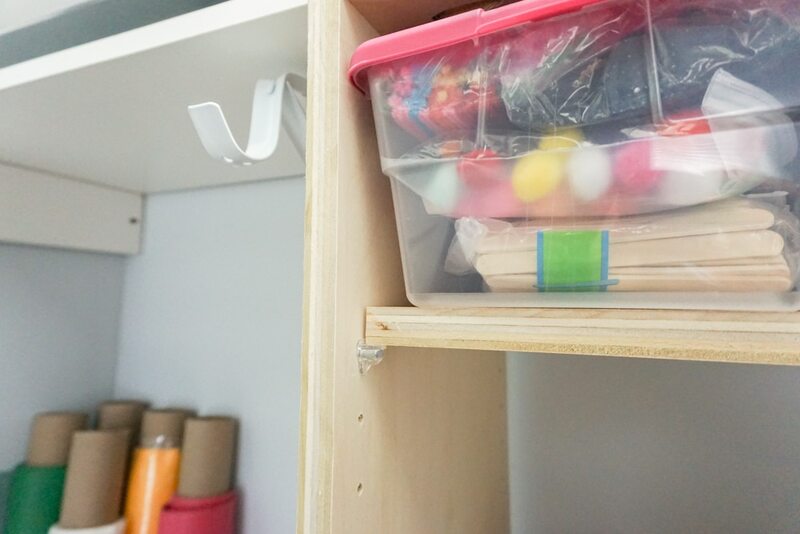 I was able to get some craft closet organization thanks to these DIY closet shelves! 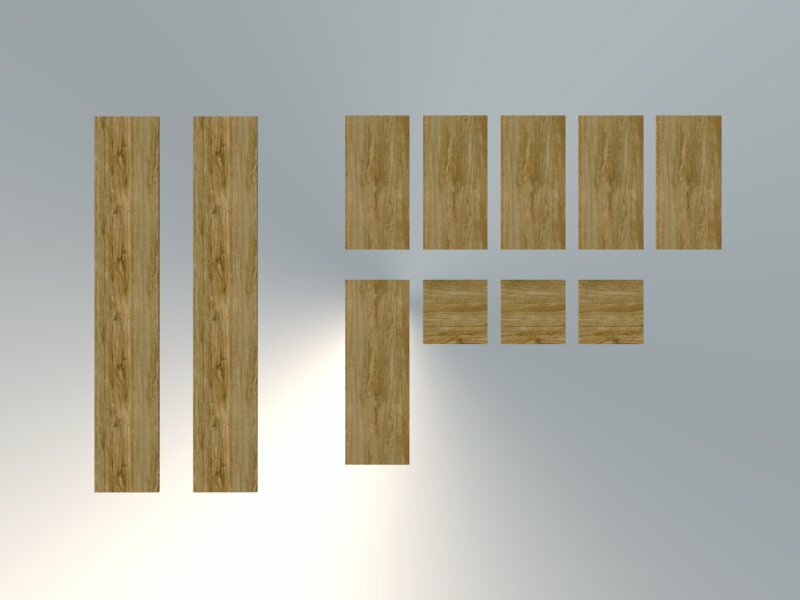 The biggest tip I can give you for this project is to have your plywood sheets ripped down in the store! Most hardware stores will do up to 10 cuts for you FOR FREE! Come prepared with this diagram to make the process quick and easy! This will save you a lot of time and trouble at home, especially if you don’t have a table saw! Click here to see measurements for these DIY closet shelves! Step 1: Once you get all your pieces home, you have a lot of pocket holes to drill! 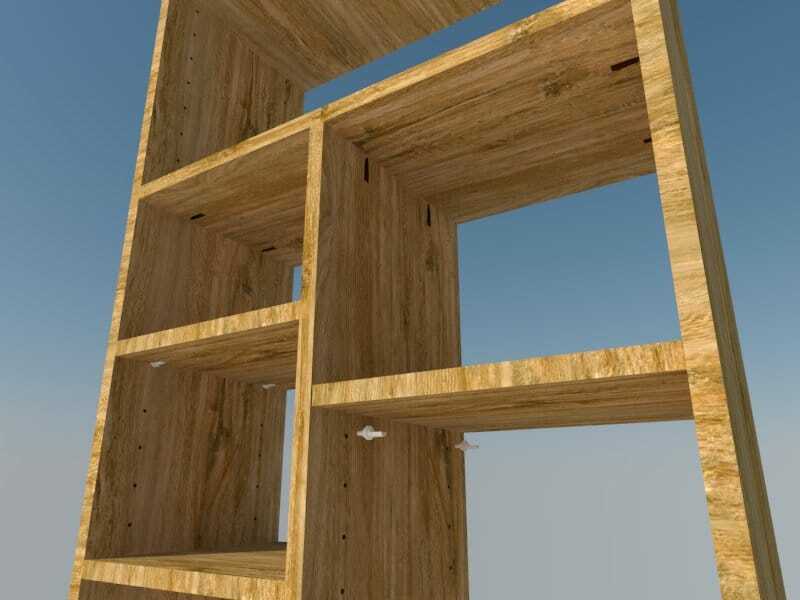 This is easy to do with a Kreg Jig Pocket Hole Jig . 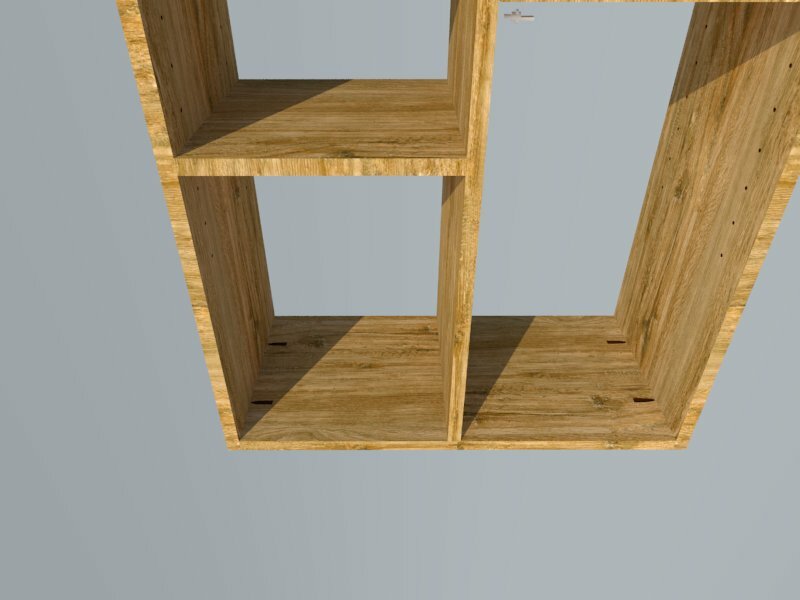 Drill your holes on the short ends of each of the shelves – these will be used to attach into the tall vertical side pieces. Step 2: Measure and mark the center on one of your shelf boards. This piece will be a sort of anchor in the middle of your shelving unit. After you’ve marked the center, you can assemble the “I” at the bottom of your shelves. 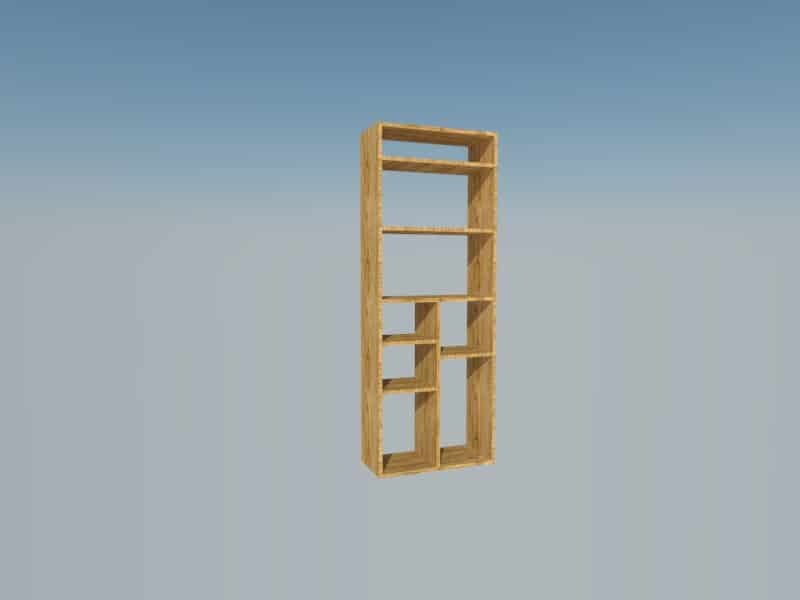 This uses the bottom piece and the middle and will give your shelves stability. Make sure you put your pocket holes on the side that will face the wall so you won’t see them from outside the closet. You’ll attach the vertical piece into middle of the bottom and middle pieces. You’ll need clamps or an extra set of hands to help hold the board in place. Step 3: Attach the “I” into your two vertical sides. The corner clamps really come in handy for this part! They’ll hold the two pieces together so you can drill them together. Step 4: Repeat step 3 to attach the top board – make sure you put your pocket holes on the TOP of the shelf so they can’t be seen underneath. Step 5: This is the only cutting you should have to do. 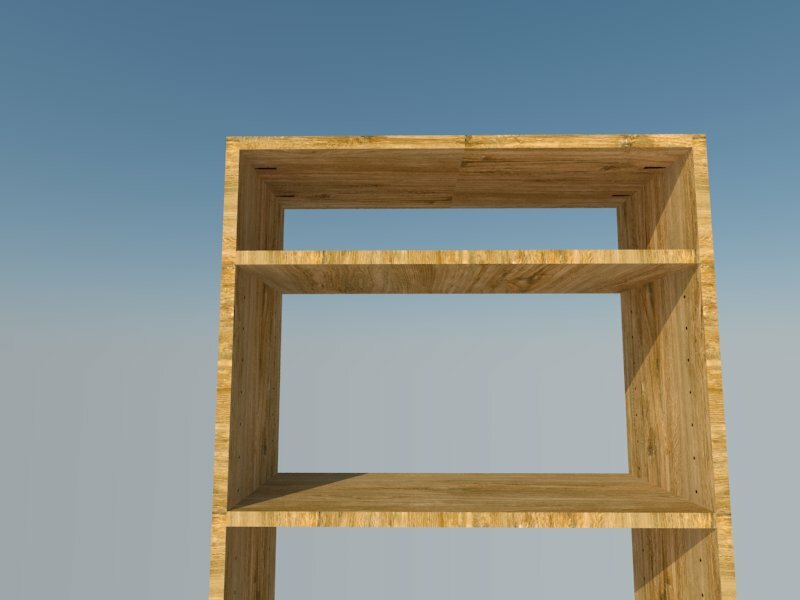 Measure then cut the small shelves for the bottom section of your shelving unit. I don’t have a table saw, and my miter saw is too small, so I used a cordless circular saw the the Kreg Rip cut attachment for this step. Clamp your board in place and go! Step 6: To insert the shelves, I used the Kreg Shelf Pin Jig . This thing is so handy! Use the included drill bit and hardware to drill holes all the way up the front and back of your DIY closet shelves. 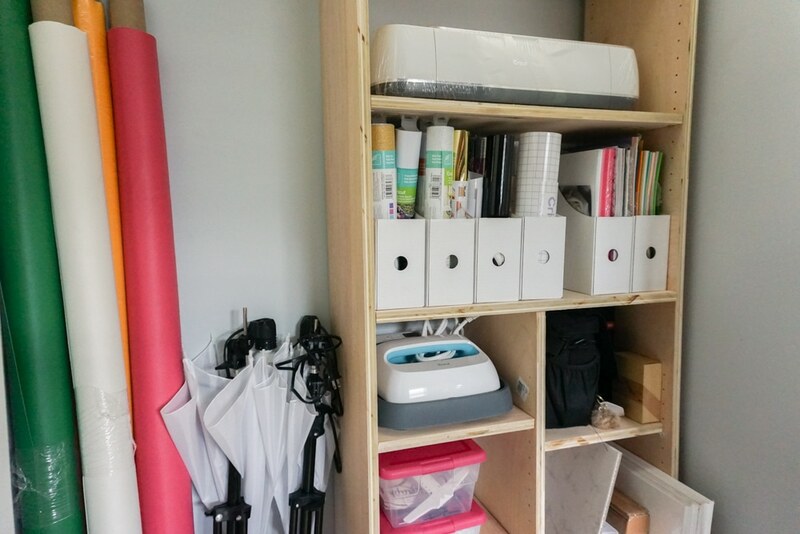 I opted for shelf pins instead of attaching the shelves to the unit so that the shelves are adjustable! Once your unit is built, it’s time to put into place! (You could also paint at this step if you’d like.) Remove the old hanging hardware, and put your new shelves in place. 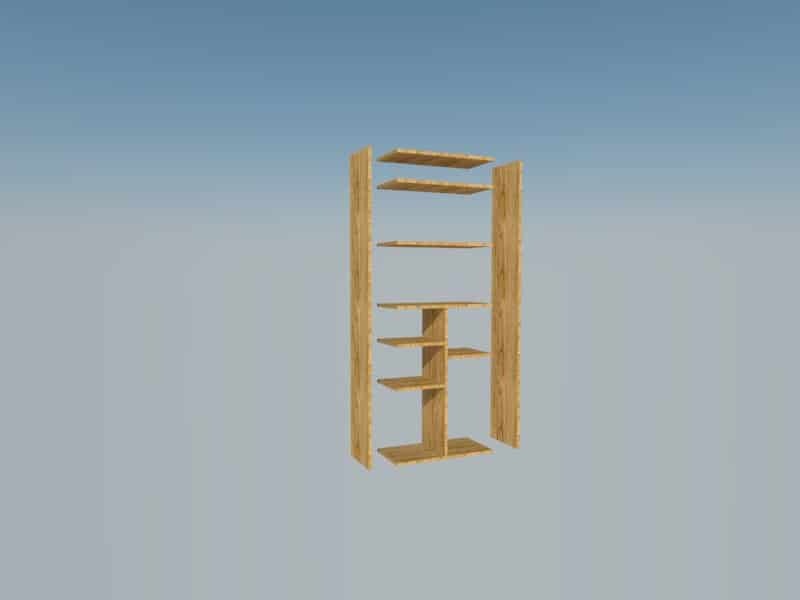 I made mine the perfect height so the existing shelf would fit nicely right over top. I also cut the bar so it would fit nicely right beside the new shelf. Once the unit is in place, it’s time to put in the shelf pins and shelves! These slip right in the holes you drilled and make a perfect perch for the shelves. I now have space for all my crafting supplies! It’s a great home for my Cricut machine and all my Cricut supplies. Wanna see the rest of my craft room/home office? I did a huge makeover a while back and spoiler: it includes the coolest DIY fabric wall! You can see all the details (and photos!) here! This is a great idea and what a big improvement! My question is: I don’t like the way the pocket holes look like once everything is assembled. Did you plug them or simply hide them? I can’t seem to see any in your pictures.